The EPA's creation of Tier 2 Bin 5 emissions standards, first required in a few states such as California, severely restricts the amount of particulate matter and pollutants that come out of a vehicle's tailpipe. Unable to meet these tough standards with their previously available diesels, automakers like Volkswagen and BMW went back to the drawing board – engineering new ‘clean’ diesels that perform ever better than the last generation of oil burners. With engine modifications, new diesel particulate filters and a urea-based system that makes unhealthy NOx emissions transform into a drizzle of environmentally friendly nitrogen and water, the 2009 Volkswagen Touareg V6 TDI easily satisfies the EPA's 50-state requirements. And, to satisfy owners, it gets 25 mpg on the highway while delivering 407 lb-ft of torque with its turbocharged 3.0-liter engine. Power and economy, who knew? 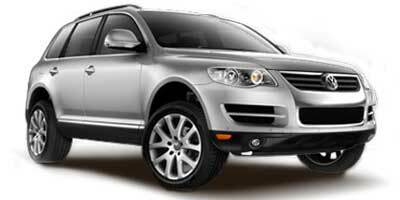 All the comfort and standard features found in a gas-powered Touareg, but with a 25 percent increase in fuel economy. An unfussy and well-designed interior is upscale and meets luxury vehicle standards set by Mercedes-Benz and Lexus. The small turbocharger is great for providing incredible, low-end power, but the torque drops off quickly at the top of the powerband, leaving the Touareg struggling at times. The navigation system doesn't have the most intuitive menu, and there is a steep learning curve for finding the correct commands. An SUV with a V-6 under the hood doesn’t usually grab people’s attention; it's been done many times over, and not always with great results. However, add a turbocharger and a common-rail clean diesel engine and things become a little more interesting. 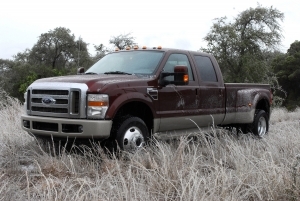 Gone is the stereotypical rumble and black smoke of a diesel engine. Instead, acceleration in the Touareg V6 TDI is strong and fluid, breezing through the revs until about 4,000 rpm when the turbo’s power ultimately gives way. But this being an SUV, it doesn't matter much. What’s more important is that the steering is perfectly direct and, thanks to the four-wheel drive, the Touareg feels as sure-footed at 25 mph as it does at 75. Though, the window seals aren't as impressively stable during those speeds, and air whistles past the passenger side’s A-pillar. To move its sizable mass, the Touareg employs a six-cylinder turbocharged diesel engine with common-rail direct injection. Its 221 horsepower and 407 lb-ft of torque can tow up to 7,700 pounds, and it has low range gear to accompany its permanent four-wheel drive. The engine is mated to a six-speed automatic transmission with Tiptronic manual mode and a sport function, matching many of the competitors' offerings. While most buyers will probably be happy with the Touareg’s lengthy standard feature list, those wanting even more won't be left disappointed. Your wish list should include the keyless ignition option, intense 10-speaker Dynaudio sound system and rearview camera. If safety is a priority, go for the Adaptive Cruise Control (ACC) system, which modifies the speed of the Touareg depending on its distance to the vehicle in front of it, and Lane Change Assist, a feature that works by illuminating a light on the side mirror when a car pulls into your blind spot. The real star of the Touareg TDI is its diesel engine. To comply with emissions standards, the Touareg uses something called a DeNOx system, which breaks down nitrogen oxide – a pollutant that spews out of many of the older diesels – and turns it into harmless water and nitrogen. It performs this magic through AdBlue, a non-toxic urea solution that reduces NOx emissions by 90 percent. AdBlue must be refilled every 6-10,000 miles but is covered under the free, three-year maintenance plan included in the purchase of every 2009 VW. 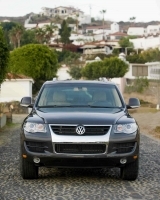 Using ultra-low sulfur diesel, the Touareg gets an impressive 17 mpg in the city and 25 mpg on the highway. The gas-powered model only sees 14/20. City mileage can’t top competitors like the Lexus RX400h with its 26 mpg city, but highway fuel economy is almost identical, with the Touareg edging the Lexus by one mpg. The clean diesel technology is so efficient it allows this SUV a CARB rating of ULEV-II – better than many sedans out there. With a massive 26-gallon tank, it has a range of 600 miles as well, making it the ultimate road trip vehicle. VW has designed an accessible and clean-looking interior space for its newest addition to the VW diesel family. The five-seater features an elegantly appointed instrument panel and chrome-rimmed gauges. The leatherette or optional leather seats are bolstered well, while the rear foot space angles upward slightly to provide a handy foot rest for comfort or a brace in case of sharp braking. Through the exterior design – unchanged for the 2009 model year, VW has managed to make a large SUV look much more compact. Blunt, squinting headlamps meet a classic VW grille, and wide air dams give the Touareg’s front-end some substance. Small, and aerodynamically more efficient, 17-inch wheels complete the look. Exact pricing hasn’t been announced yet, but considering the premium for clean diesel technology, we’re expecting it to start around $43,000. This puts the Touareg in a good position against a number of luxury SUVs like the $47,100 BMW X5, $49,475 Mercedes-Benz ML320 BlueTEC and $43,480 Lexus RX400h. It will be on sale starting spring 2009. Volkswagen has placed itself ahead of the competition by promptly delivering a luxury-laden clean diesel SUV for the U.S. market. Shoppers will embrace the large number of standard features, and extras like free roadside assistance and scheduled maintenance make it a smart buy. The icing on the cake is that all of it is packaged in a more fuel-efficient vehicle – one that just happens to have a powerful, turbocharged engine in it as well. Thank you, EPA. We owe you one.